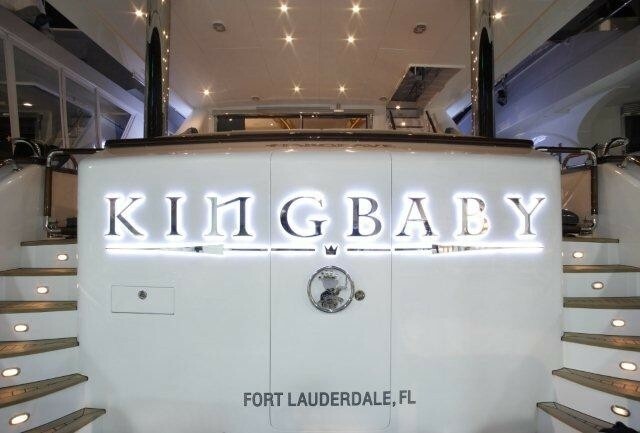 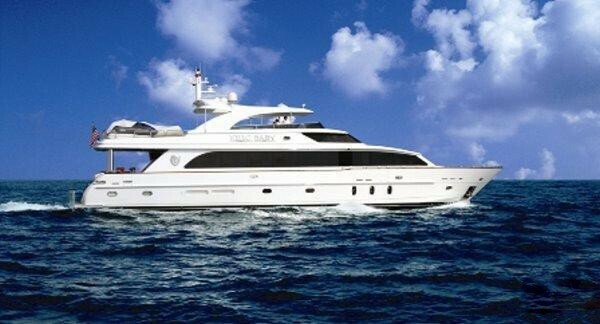 Luxury motor yacht LA DOLCE VITA was delivered by Hargrave yachts in 2009 and refitted in 2013, the yacht measures 30.38m (100ft) and can accommodate up to 8 guests and a 9th (child) in 4 deluxe cabins. 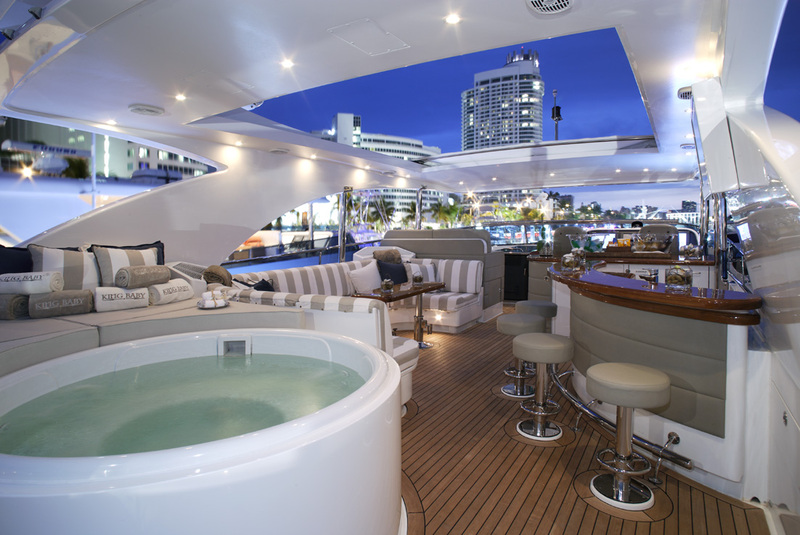 Charter yacht LA DOLCE VITA boasts plenty of interior and exterior entertainment options and is the ideal yacht for families and friends alike. 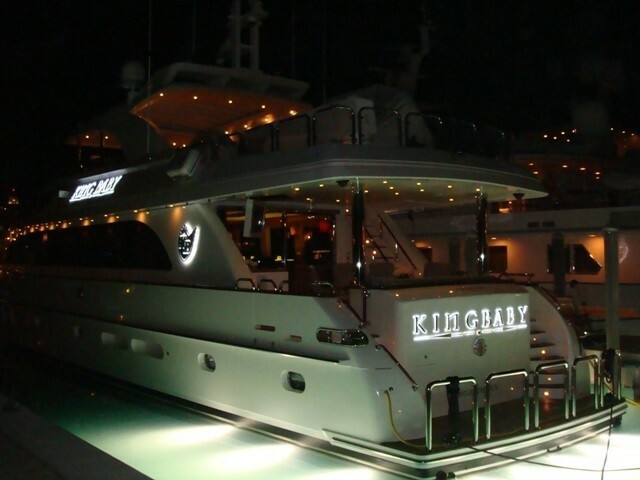 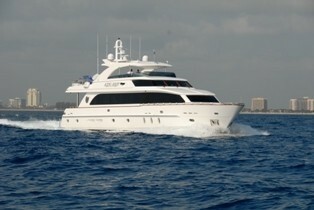 M/Y LA DOLCE VITA is available for charter in the Bahamas in the summer and the Caribbean during the winter. 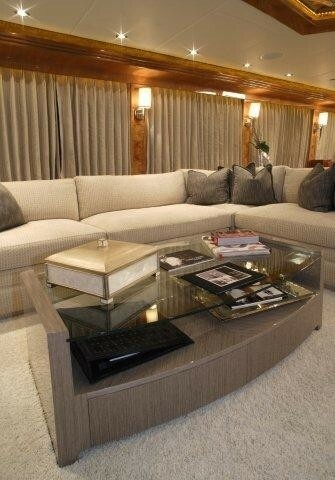 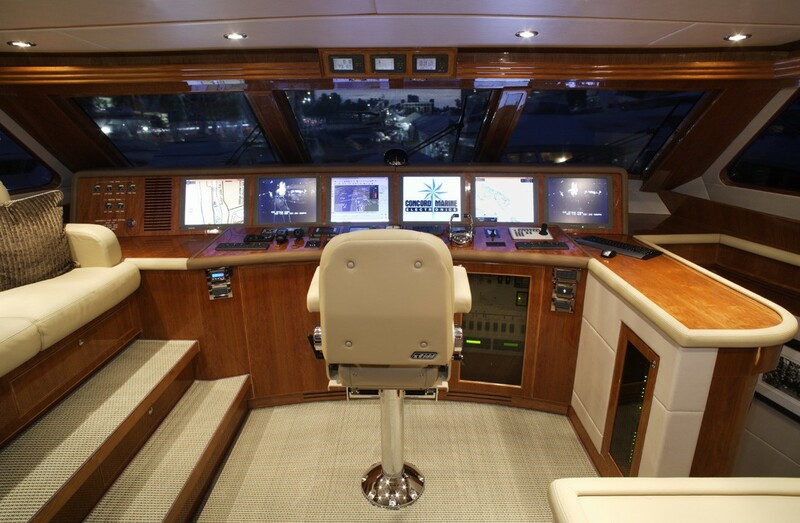 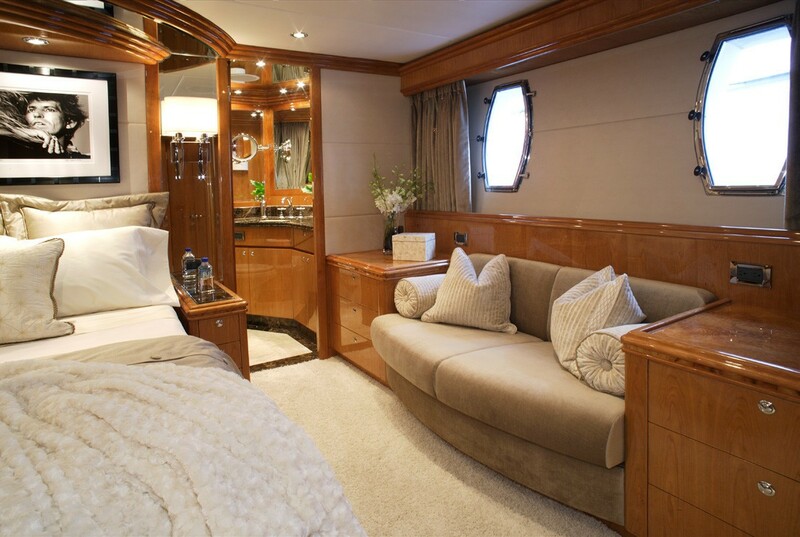 Motor yacht LA DOLCE VITA has a refined yet casual interior featuring warm high gloss wood panels, soft cream carpets and cool toned neutral furnishings. 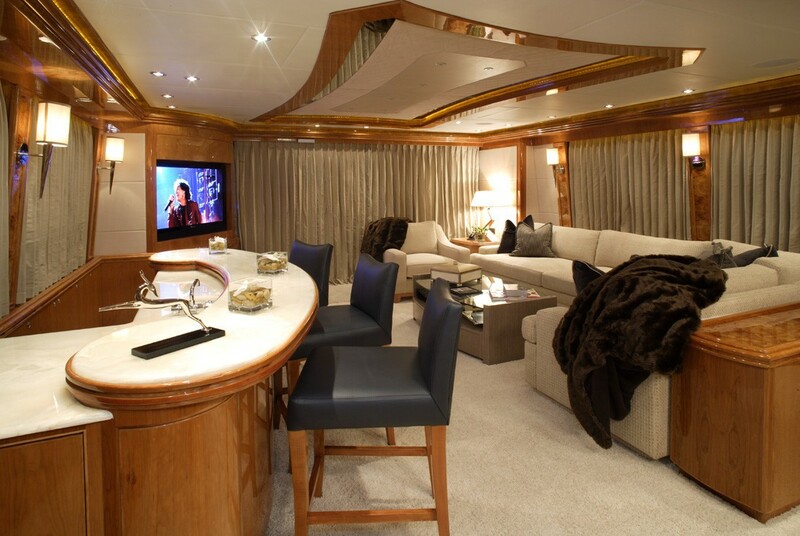 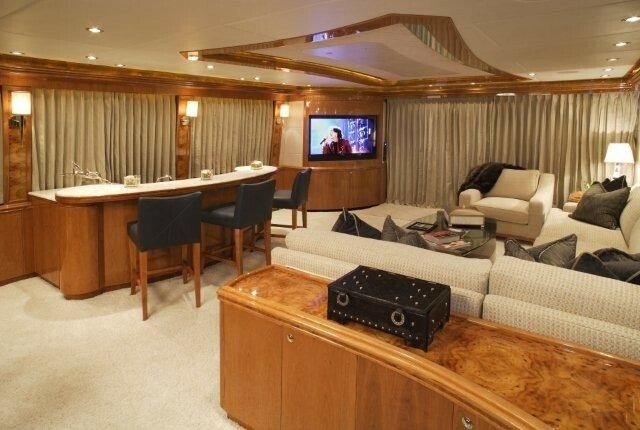 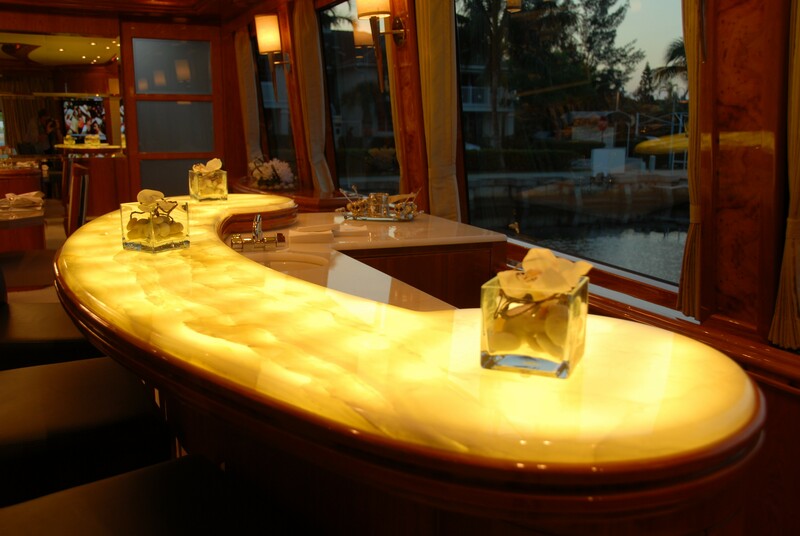 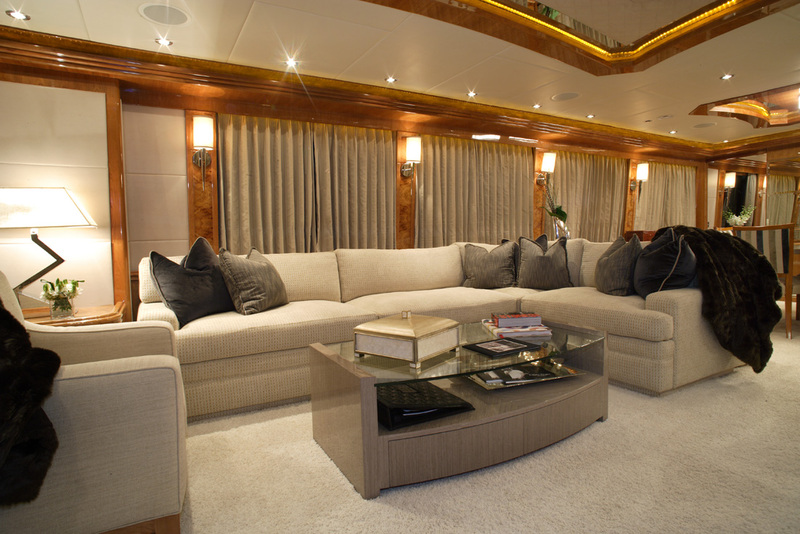 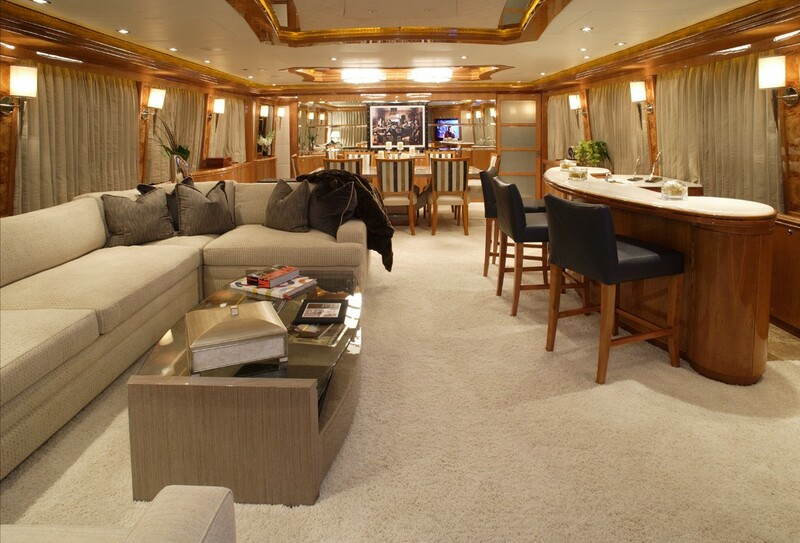 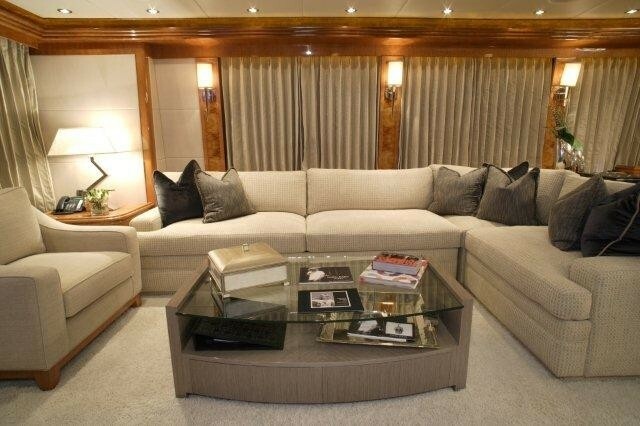 The salon is aft offering a large suite with coffee table on the port side and a marble topped wet bar on the starboard, enjoy a cocktail prior to dinner while watching the latest news on the flat screen TV. 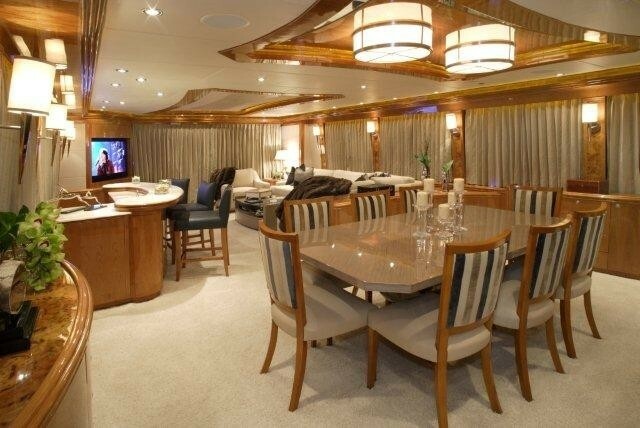 The dining and salon are an open plan accentuating the generous layout. 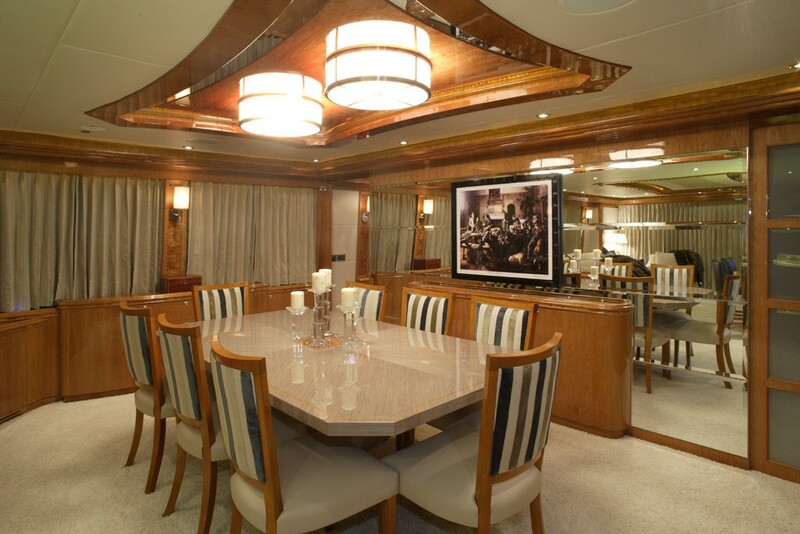 Forward the formal dining table seats guests in style and comfort. 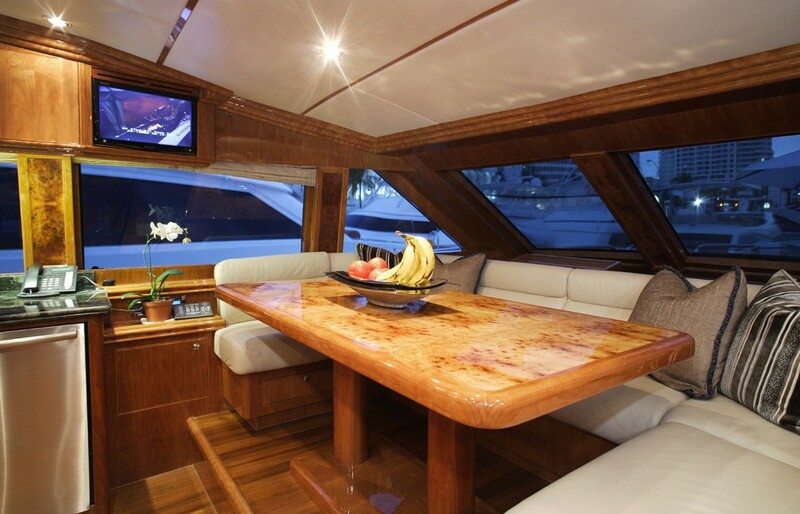 The entire space receives ample natural light thanks to the panoramic windows. 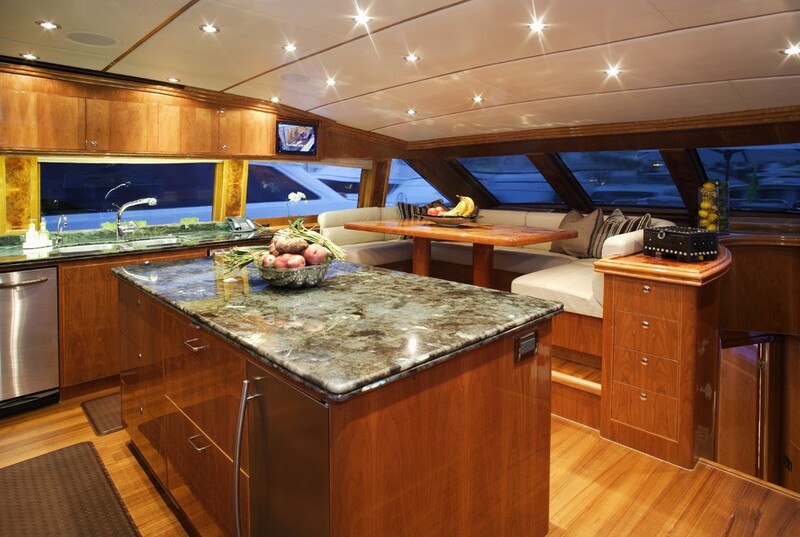 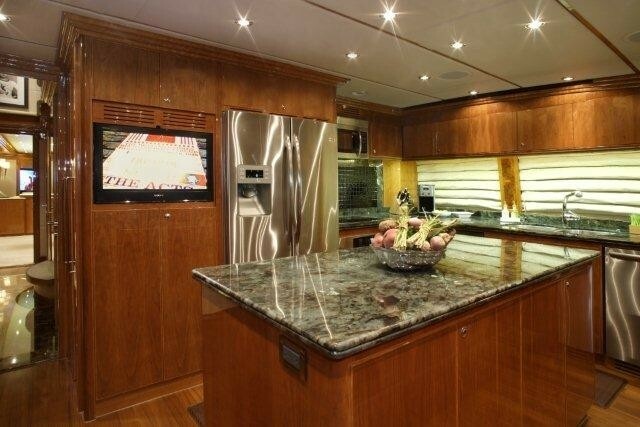 Forward of the salon a country style galley offers a casual seating area, ideal for a quick snack or to simply relax. 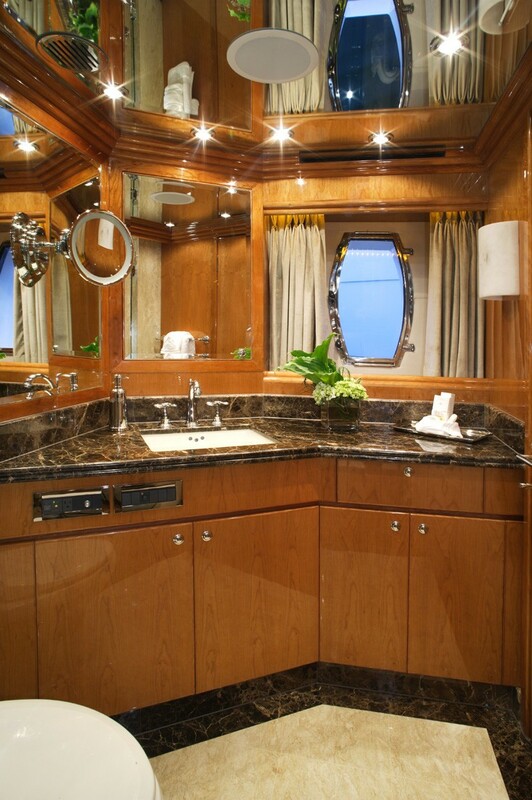 Aboard the M/Y LA DOLCE VITA exterior living is plentiful too. 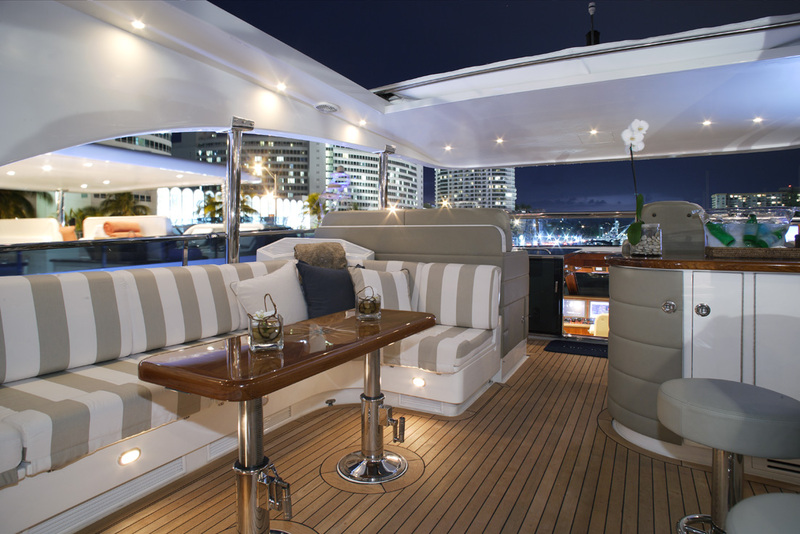 The aft deck is shaded and boasts an alfresco dining option and built in seating, making this a great spot to dine, relax and watch family and friends enjoy the many water toys on offer. 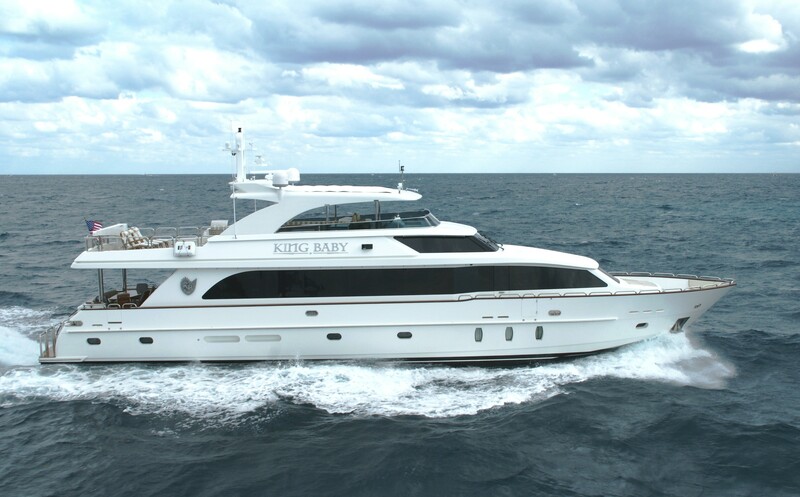 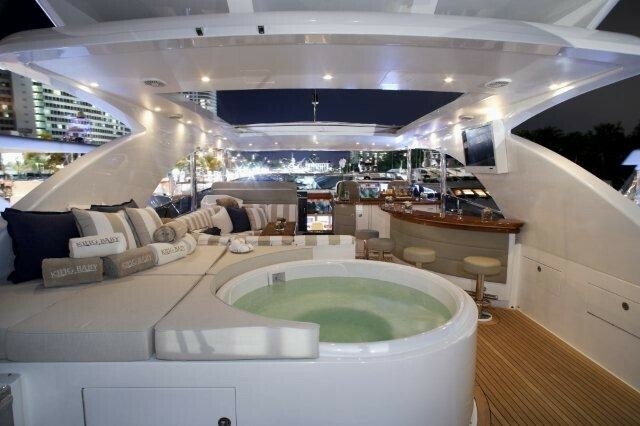 Motor yacht LA DOLCE VITA boasts a full beam swim platform perfect for easy water access. 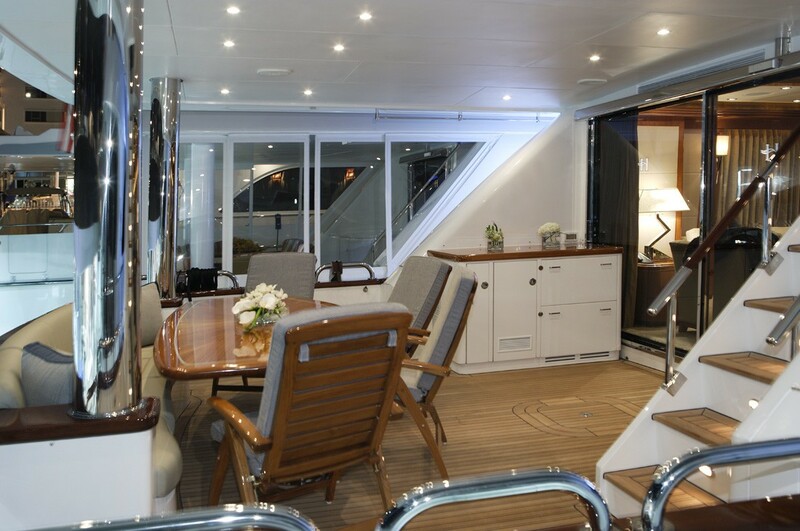 Forward on the main deck, a triple sunpad invites a quiet retreat. Motor yacht LA DOLCE VITA features a fabulous flybridge, complete with wet bar, alfresco dining, sunpads, Spa Pool, additional seating and a retractable roof ideal for shade by day and star gazing by night. 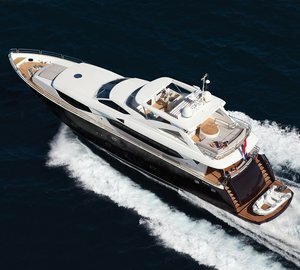 LA DOLCE VITA is powered by 2 CAT 1675hp engines, she cruises comfortably at 12 knots and can easily reach speeds of up to 20 knots. 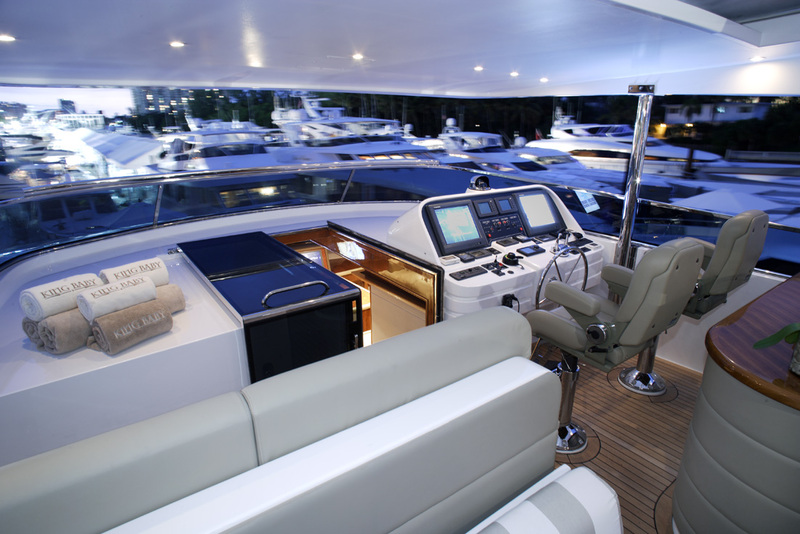 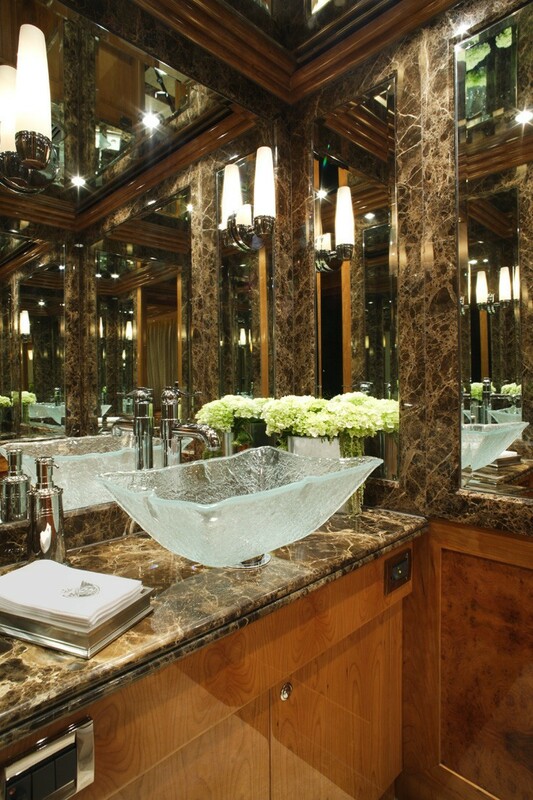 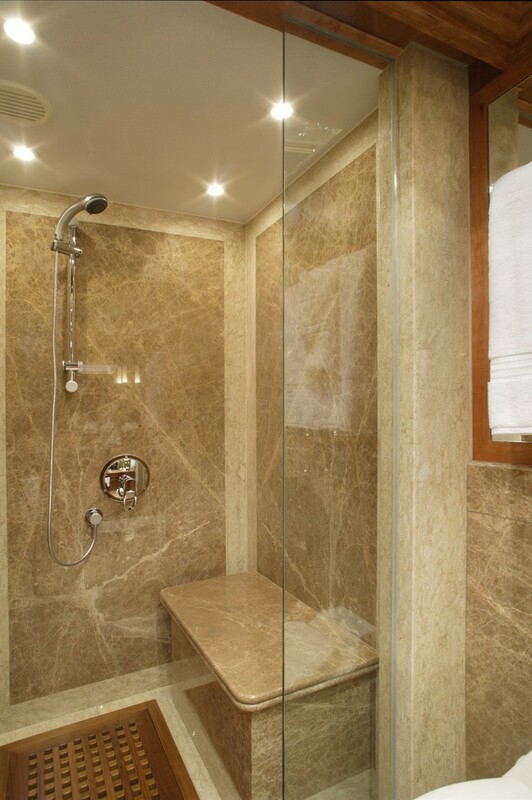 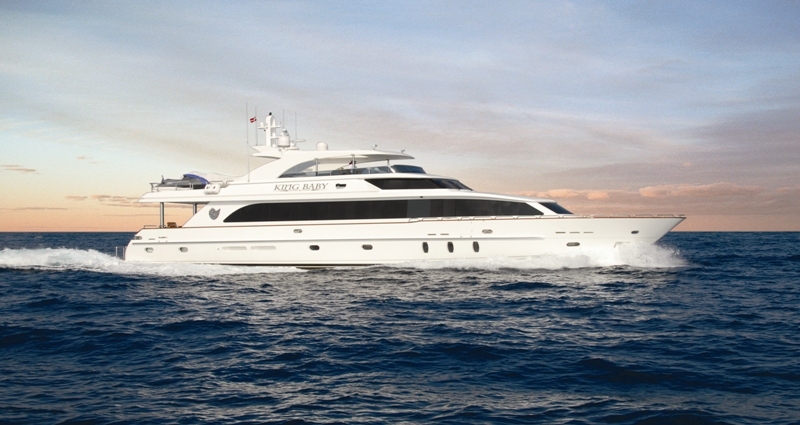 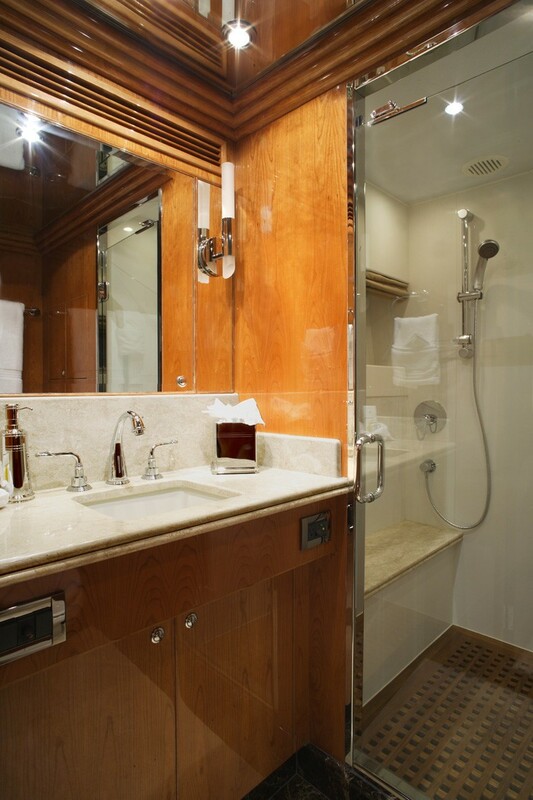 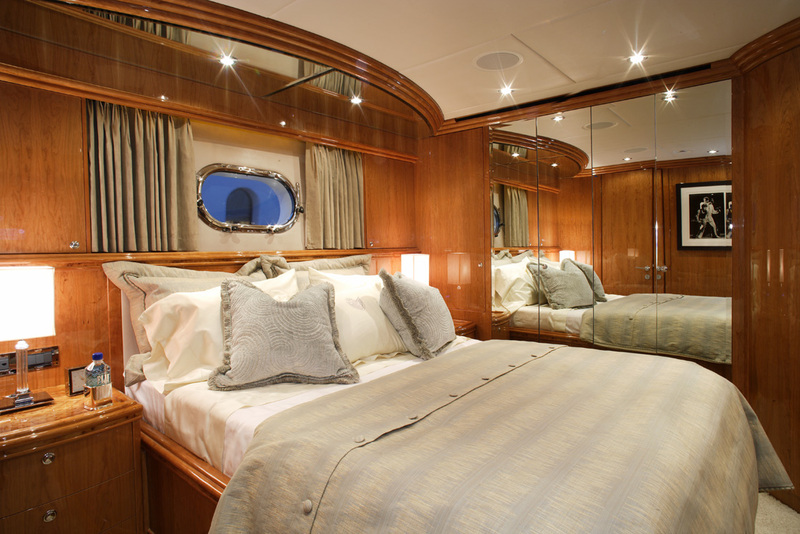 Luxury charter yacht LA DOLCE VITA can accommodate up to 8/9 guests in 4 deluxe en-suite cabins. 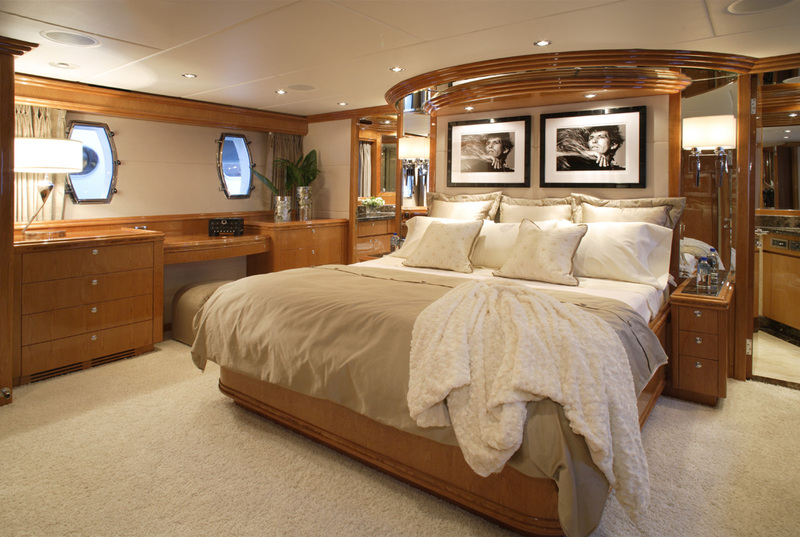 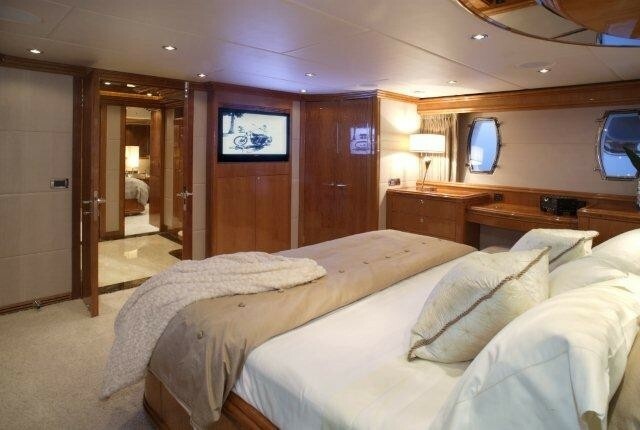 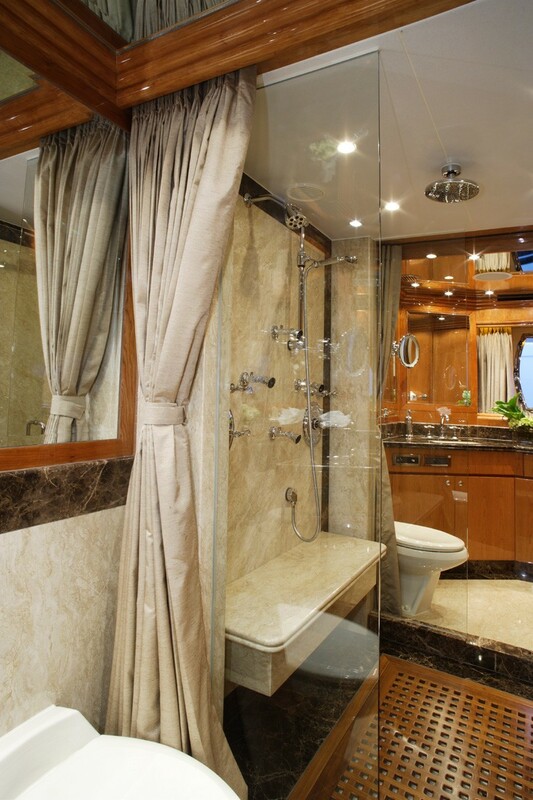 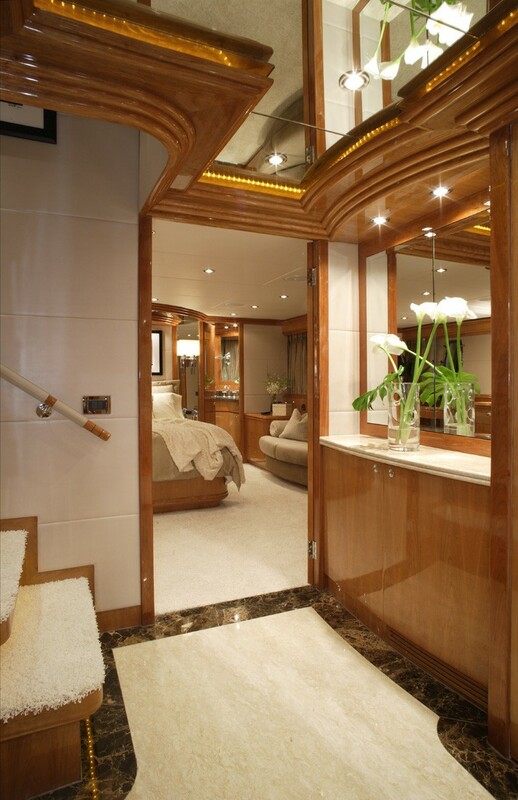 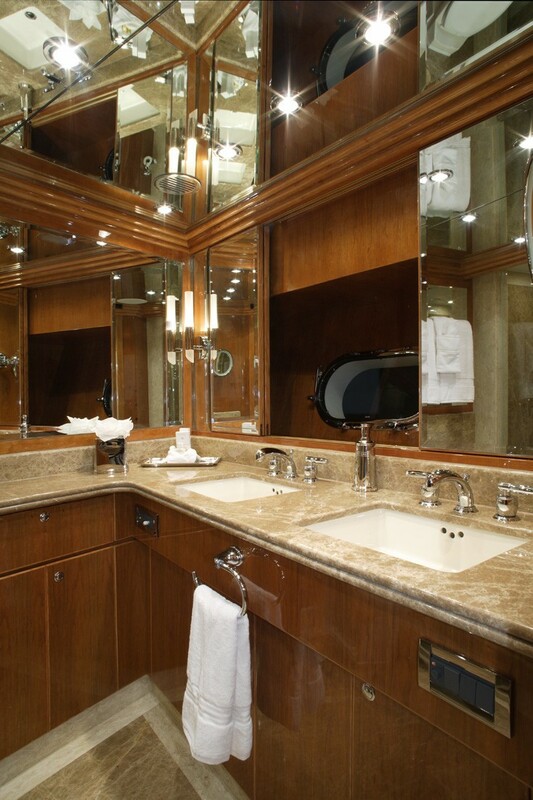 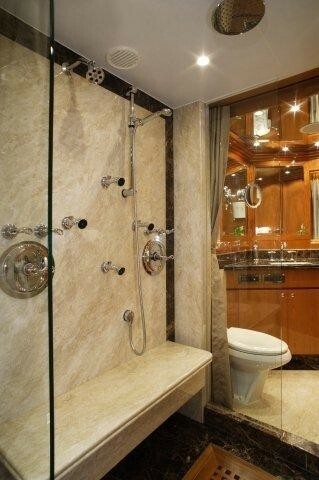 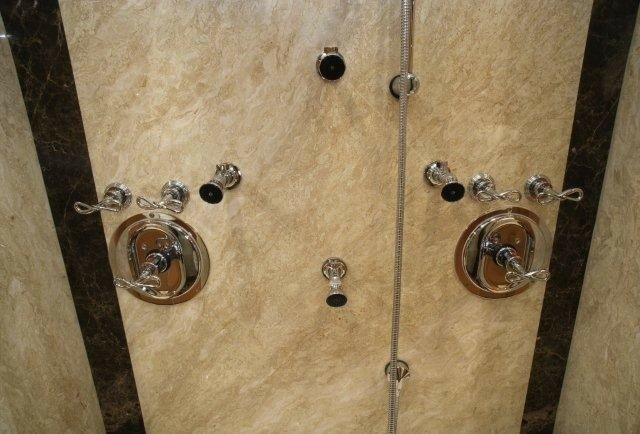 The master suite is full beam of the yacht boasting a king size bed, love seat, vanity and his and hers facilities separated by a refreshing rain shower. 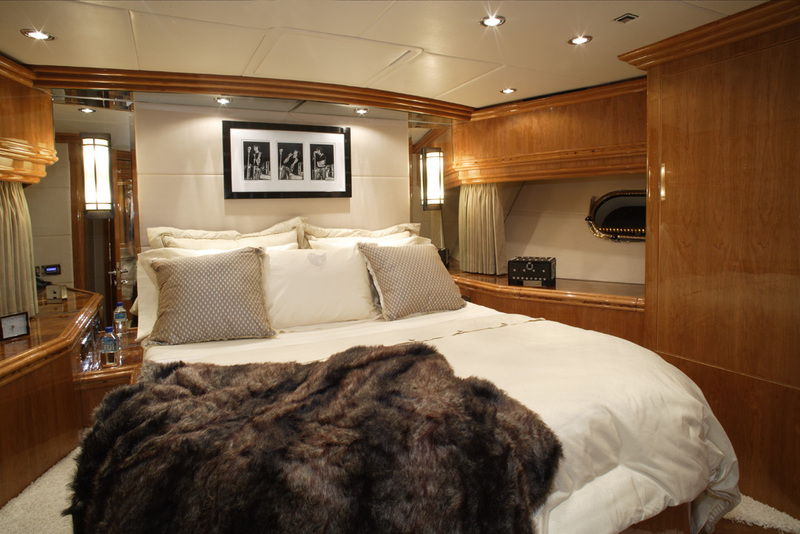 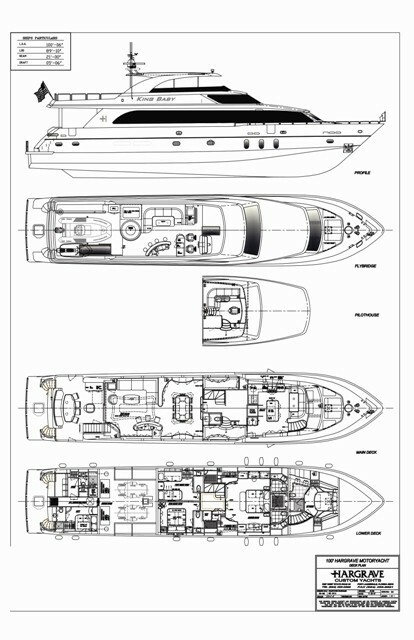 A VIP cabin is forward and full beam of the yacht with a center lined queen size bed and en-suite facilities with oversized shower. 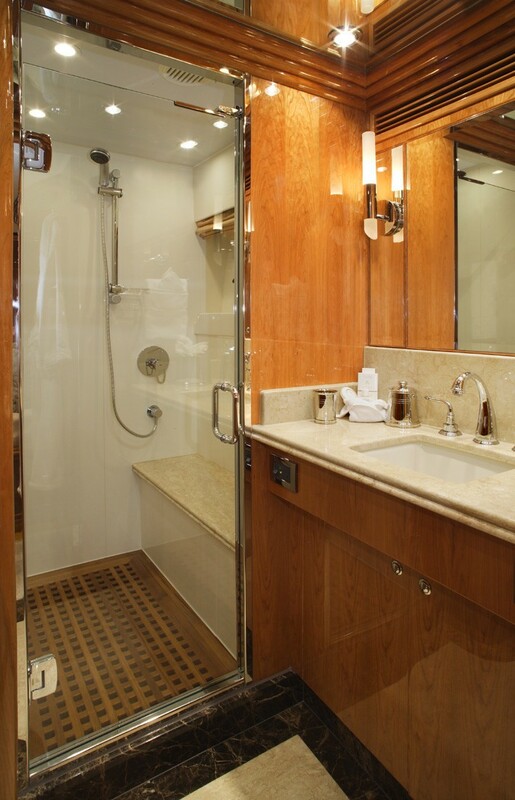 A guest double cabin offers a double bed, while a further cabin has 2 single beds and a Pullman berth, perfect for a child. 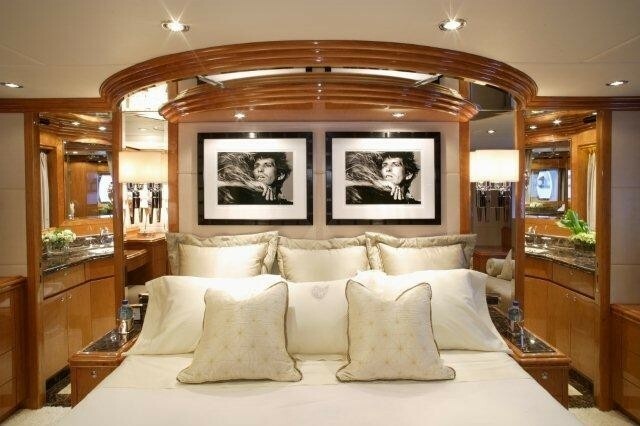 The twin beds can convert into a double as requested. 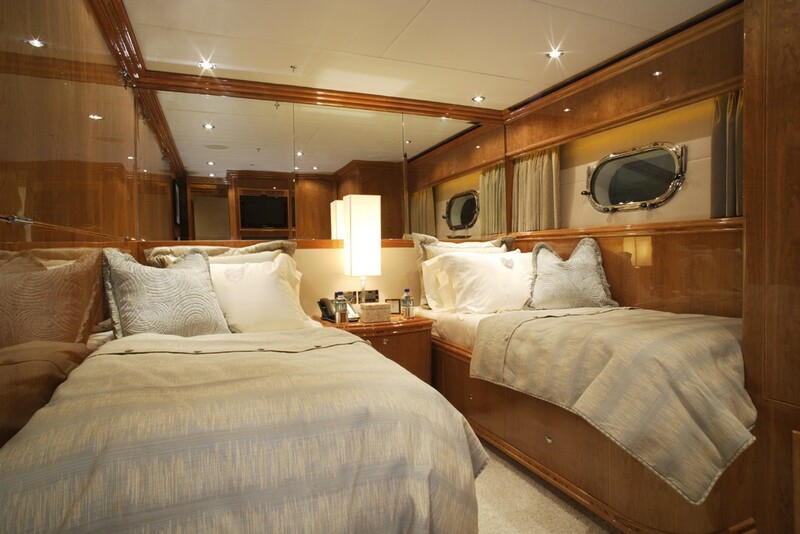 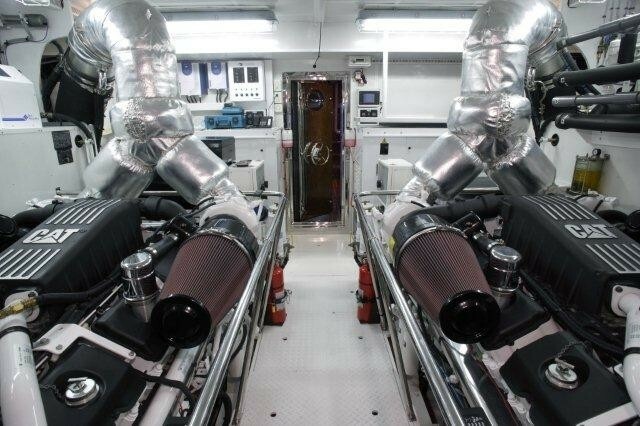 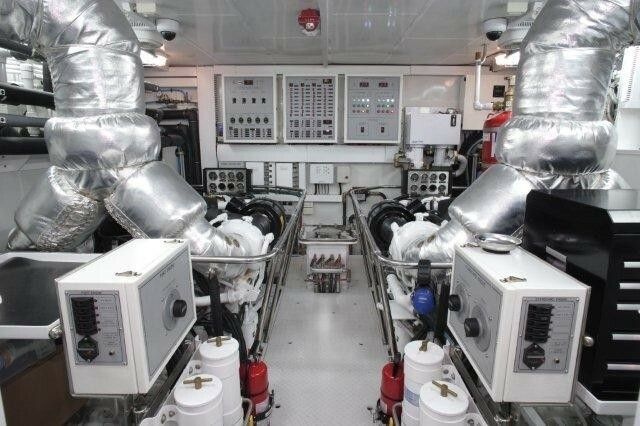 Each cabin offers visual and audio entertainment, is fully air conditioned and offers en-suite facilities. 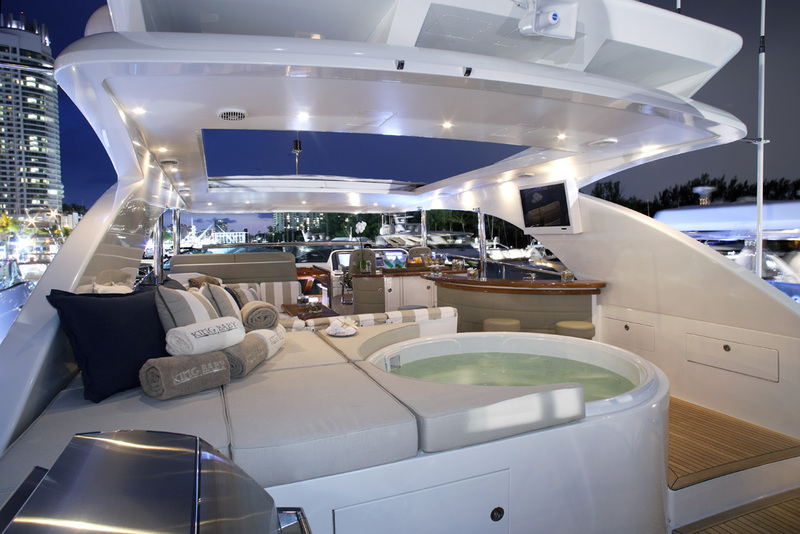 Tenders & Toys onboard the LA DOLCE VITA yacht include a 22” Nautica RIB Tender, 2 x Yamaha Waverunner, Inflatable Kayaks, Banana Boat, Trampoline,Water Toys, Beach Toys, Fishing Gear, Wake board, Snorkel gear, Communications include VHF Radios, WiFi, Sat,Phone, Sat TV, Internet where available Audio Visual Equipment and Deck Facilities include DirecTV Satellite System throughout, TV/DVD/CD throughout, Speakers on all decks and in all cabins,	XM,Radio, Audio & Video Libraries Satellite/Direct TV, IPod Docks in every room, Blue Ray Player in Salon, Aftdeck and Bridge.